It might be helpful if you can attach an example to demonstrate the issue you describe. I'm not understanding what you mean by "I add output XSLT right under a test suite". 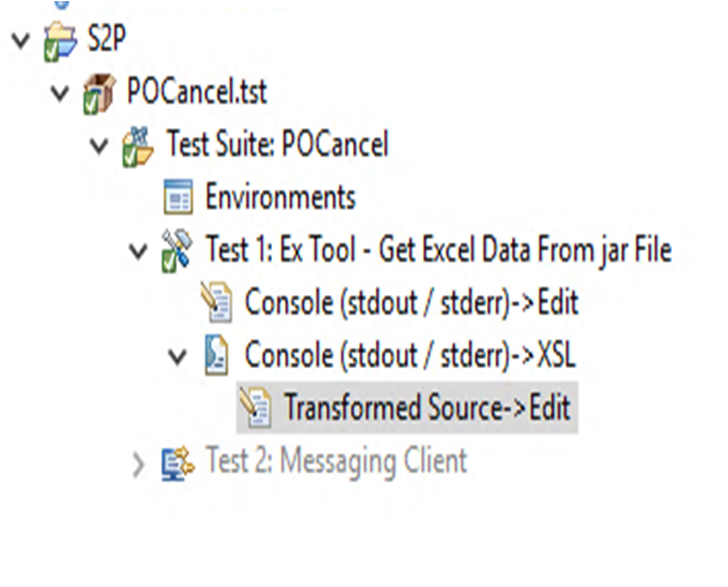 You add a tool either as a test or as an output to a test. You can add a tool directly to a suite but you have to create a reference to it (as a test or as an output to a test). The only other things I'd check would be to make sure the input to the XSLT Tool is XML. Otherwise, the tool will look disabled/grayed-out and won't run. What is selected for "MIME type of output" in your External Tool (scroll to the very bottom)? The default is text/plain. Did you change that to text/xml? Also, you may need to enable "Exit value indicates success".